Baby Fox Embroidered Faux Leather Cross Body Bag Only $16.99 (Reg. $30)! You are here: Home / Great Deals / Amazon Deals / Baby Fox Embroidered Faux Leather Cross Body Bag Only $16.99 (Reg. $30)! How adorable is this bag? 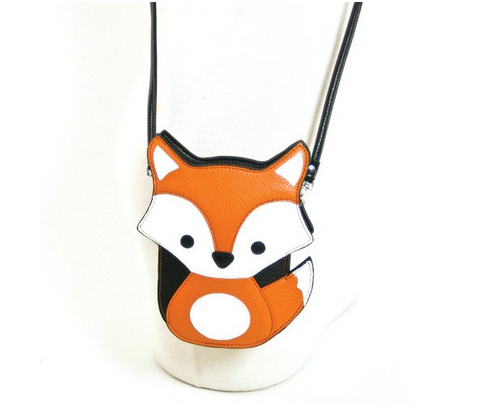 Amazon has this cute Baby Fox Embroidered Faux Leather Cross Body Bag for only $16.99! Even with $4.95 shipping, making it $21.94, it is still a great deal! Sleepyville Critters is a registered trademark with USPTO. All critters are copyrighted with USPTO.